As VP of Sales, Why Should You Give a Damn About Sales and Marketing Alignment? •Revenue impact of alignment – the findings from MathMarketing’s latest global research of 500 companies. 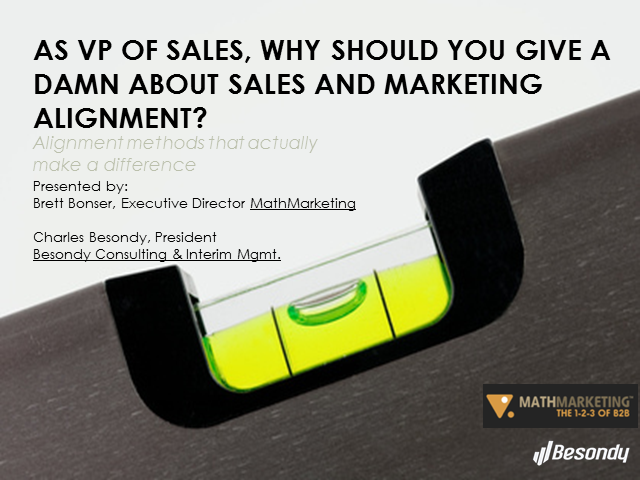 Title: As VP of Sales, Why Should You Give a Damn About Sales and Marketing Alignment?